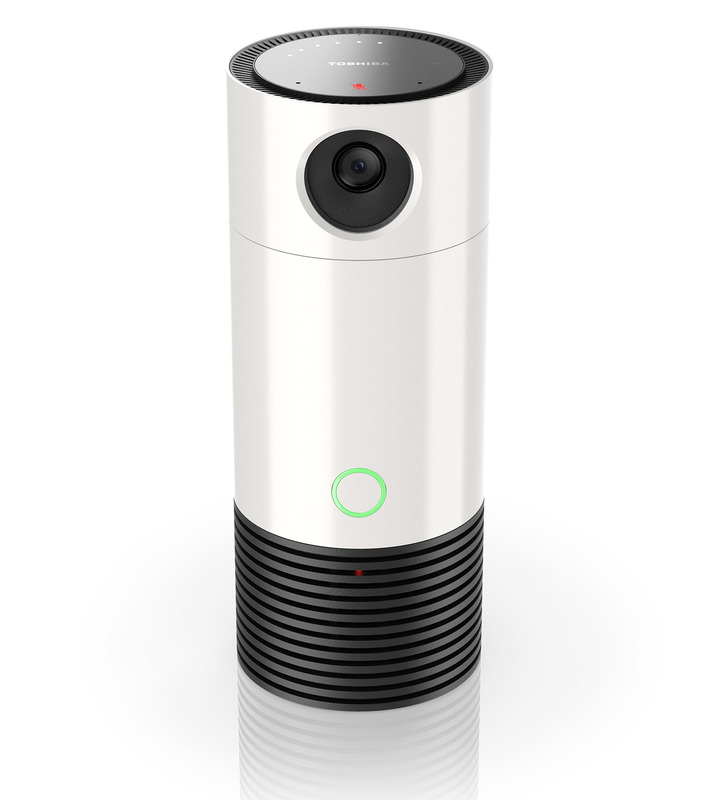 The multi-talented device also works as a smart home hub, intercom and sound detector. Toshiba has integrated a dizzying number of devices into one with its new Symbio. It's an Alexa-powered smart speaker, security camera, intercom, smart home hub that's compatible with Z-Wave or Zigbee, and sound detector. Using the iOS or Android-powered Toshiba Smart Home app, you can "control everything from lights and music to door locks and temperature settings, from any location -- at home, at the office or out of town," the company claims. What's perhaps most interesting about the Symbio is the built-in smart home hub and integrated 1080p, wide-angle security camera. Amazon itself recently released the Echo Plus with a built-in hub, but it lacks the camera; only supports Zigbee and has limited smart home voice control. Toshiba hasn't said whether Alexa could control the security camera or other smart home hub features, but you should be able to do just about anything via the app. For folks who want a basic smart home setup to control security, lights and a thermostat, it should do the job. With Alexa, you can do the usual stuff like listen to music, ask questions, get news, and also control lights, a thermostat and more. An integrated microphone also allows two-way intercom communications, and sound monitoring. For instance, if it detects a smoke detector alarm, it can send a notification to the app. The camera can provide motion-based alerts and stream live HD video to your smartphone. Toshiba hasn't yet released the all-important price, and the sound quality of the speaker is a crucial part of the equation, so hopefully we'll get a look at CES 2018. Nevertheless, this could be an interesting option for folks looking at both an Alexa smart speaker and basic security setup.